Your season ticket includes all the hockey that we can give you, at the Cornèr Arena. Half priced season ticket for children (only for the kids under 12 years old at the 31.12.2018, only for seats in the same sector of the parents). To obtain this discount we invite you to come directly at the office with a valid I.D. and the evidence of your condition (f.e. a student card). The discount is not valid for Family Corner’s season tickets. 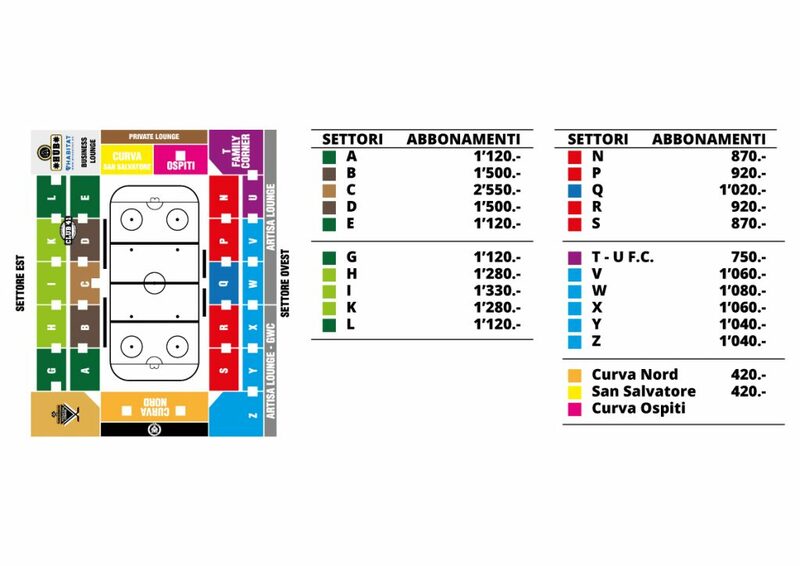 The game day, showing your season ticket, reach the Cornèr Arena for free with the public transportation in the Arcobaleno 100 zone (Lugano). Purchasing or renewing your season ticket and subscribing the formulary “let’s know each other better” you’ll get a free credit card of your favourite team, forever.